Let’s face it guys, yesterday’s ObamaCare summit was nothing more than the theater of the absurd. It was designed by Obama and his minions to embarrass the Republicans, an effort that failed miserably. In fact what it did do is prove the Emperor has no clothes. What made this Kabuki Theater so absurd was the fact Harry Reid started off making it all look so innocent by saying “Reconciliation? What reconciliation? No one’s talking about reconciliation!” Democrats are really interesting little whizbang creatures aren’t they? They actually think they can lie to people’s face and get away with it. This may work on their base of voters, but that’s a really small base. For the rest of us, that dog don’t hunt. 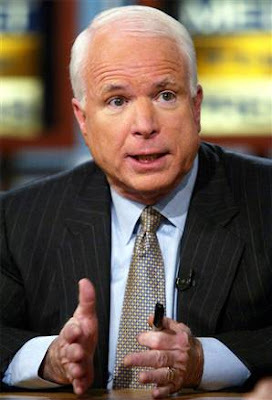 John McCain weighed in this morning with George Stephanopoulos on Good Morning America. McCain said if the democrats used reconciliation, the results would be “cataclysmic” and stressed the fact that the democrats were using Bernie Madoff type accounting. We should be thankful for yesterday’s 7-hour health care summit – it was helpful in that it allowed Americans to hear the fundamental differences in approaches to meeting health care challenges. On one side, commonsense conservatives laid out fiscally-sound, free market-based, patient-centered solutions; and on the left’s side we heard about the Democrat’s belief that growing government is the only way to meet challenges. As the saying goes, “Everyone is entitled to his opinion, but not his own facts.” When these “facts” concern one-sixth of our economy and something as important to our personal wellbeing as health care, we’d better make sure they are the real deal. Please take a look at the compilation below from GOP.com correcting the top five falsehoods from yesterday’s summit. I appreciate their research and revelations compiled here. NO ONE’S TALKING ABOUT RECONCILIATION? THE AMERICAN PEOPLE AREN’T INTERESTED IN RECONCILIATION? DEM PROPOSALS WILL LOWER PREMIUMS? PUBLIC FUNDS WOULDN’T GO TO ABORTION? For his part, Allahpundit over at Hot Air put together a compilation of highlights (lowlights?) from yesterday’s dog and pony show. Highlights: The best freak-show moments from the health-care freak show. Please click here to read. We are winning this fight and winning it big time. 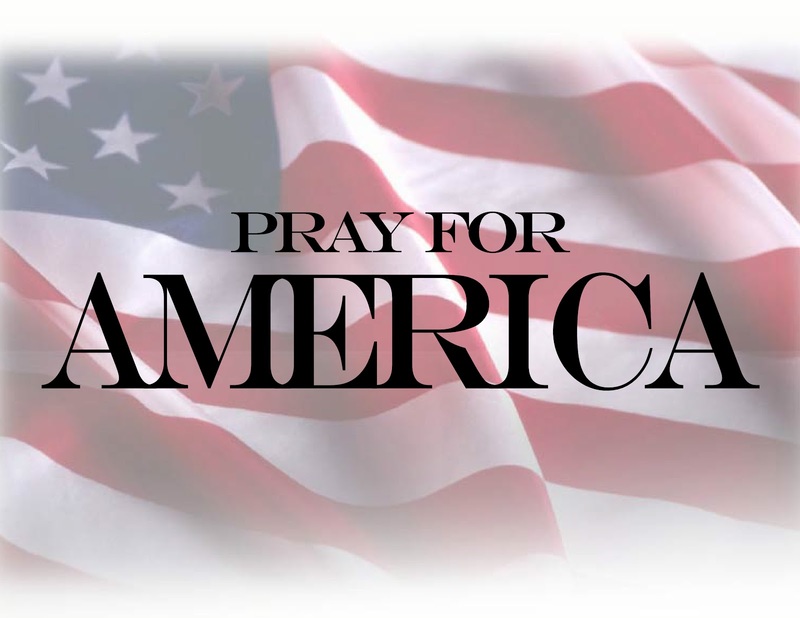 Right now everyone’s job is to remain strong and continue to put pressure on the enemies of freedom and liberty. We can stop this unholy mess. Now, I have to laugh out loud because the NYC/D.C. Beltway “elites” with their Ivy League educations have failed again to grasp common sense! Now whether this is by design, or stupidity, I’ll let others debate, but it is obvious that education was wasted on those in Washington and in the media. 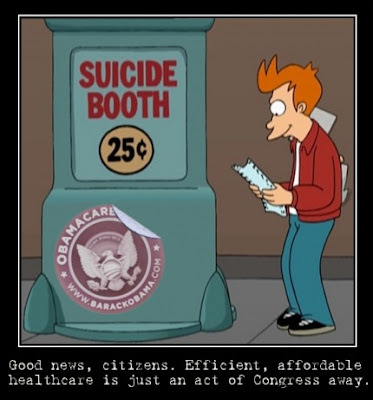 By now you have heard that key Senators in the Senate Finance Committee are saying they will take out certain “end of life” provisions of Obama’s disastrous health care fiasco. Now, these people actually think they’ve done something! Again, I don’t know if politicians and media are just inherently stupid, or are just playing it on TV. The end of life “counseling” was troubling, for sure, and we have found cases in Oregon where cancer patients were offered suicide drugs, but not cancer treatments. Oregon has statewide socialist medicine as well as assisted suicide laws. It seems that many progressives are members of the Hemlock Society. Folks, let me be clear. “Death panels” is a metaphor. You see, those “death panels” are not the end of life counseling, or anything associated with them. As Sarah Palin, and many others have been pointing out for weeks now, the condition in every single nation that has socialized medicine is rationing. It’s inevitable! Now we all know the 45 million or so uninsured number, that the democrats throw around at will, is complete bull. It’s likely less than half that number. Take out the illegal aliens, and those who are only temporarily uninsured due to a job change, and it’s even smaller still. How in the world are you going to add another 20-45 million people into a health care system without adding a substantial amount of new doctors, nurses, and other workers? How can you add 20-45 million people to the health care system without building new hospitals? And of course, how can you add 20-45 million people to the health care system without spending a whole lot more money? The answer is: You can’t! Obama claims you can and that he will. But that’s a provable lie. With the government takeover of health care, they will have set budgets. It will end up being first come first served. Years ago, in Waco, Texas, East Waco, to be exact, there was a great barbecue joint. It was in the rough part of town, but all of the big shots loved to eat there. There was always a line out the door and into the street, at lunch time. And it was only open for lunch. The place had been there since 1947 and the owner/cook/server/cashier was a real character. You went in, placed an order, which oddly enough, was called “an order.” “An order” consisted of roughly ½ pound of beef, however much bread he grabbed, and a coke! This was served on butcher paper, with no silverware, no napkins, no nothin’! He just served it up, and his helper, would take it, and you, to a long table where everyone sat. Pickles and onions could be had if you asked and if he thought you needed ‘em! It was heaven if you like good barbecue. Oh, and it came with a little bowl of drippins to dunk the meat in, and there was some serious hot sauce on the table. Here’s the thing though. The old boy knew how much he wanted to sell every day, and how hard he wanted to work. He always made that much, and no more. You needed to want an early lunch if you were going there. Get there late and you might not get fed! That was his way of saying he was about done. Of course, few left, hoping his was playin’ around! But he always had more customers than food. Why did I just tell you that story? Well, if we allow Obama and the democrats to take over and destroy health care, we will always have more sick patients than doctors, nurses, hospitals, and money. Always. Will they call it that? They will be called “advisory boards” and have names like: “Standards and practices” or “patient care panels” or whatever Orwellian name they can come up with. Sarah Palin has been hitting Obama really hard on this stuff, and has released another statement on why Obamacare is a disaster waiting to happen. 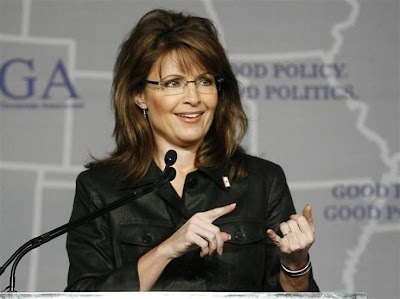 Palin has something that is illegal, evidently, in Washington D.C. or New York City, and that is common sense. Common sense dictates that the snake oil Obama is trying to sell isn’t going to work. And as we told you earlier this week, Sarah has had her own experience with the federal government and health care. 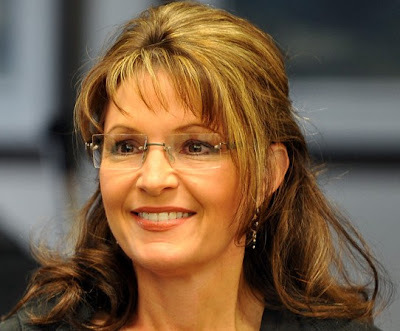 When Sarah Palin assumed the Governor’s office Medicaid was an incredible mess in Alaska. Seniors faced long waits and iffy care. She worked to get emergency funding, and then cleaned up the system. 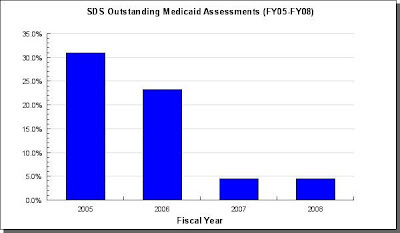 The result was in two short years, she reduced the backlog for Medicaid patients by a whopping 83 %! Look, it’s just this simple: Who do you trust? Do you trust a rookie President who has never led anything in his life. A back bench state Senator of no importance, who after only serving 140 some odd days, abandoned his U.S. Senate job to run for President? A man who has never run a city, never run a state, never run a lemonade stand? A man who has never held a private sector job, never made a payroll, never had to worry about a budget, or turning a profit? Or, do you listen to a proven leader. A woman who HAS run a city, HAS run a state, and HAS OWNED a successful small business for 20 years? Look, congresscritters sit around and debate stuff. By nature, there are few if any leaders. It’s not much more than a big debate society that can write bad legislation on a regular basis. As Governor of a state, Sarah Palin’s job mirrored that of the President’s. There is a reason why, in the United States, we generally elect Governors to be President, not Senators or congressmen. Being Governor is to lead. Being Governor is to actually have to accomplish something, rather than give it lip service. The buck stops at your desk. 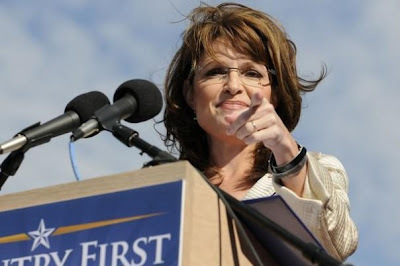 Sarah Palin has already proven that she understands the health care issue better than most. She’s already had to clean up a big mess caused by a federal health care program that wasn’t working at all. When Sarah Palin warns of the looming disaster America faces if Obama and the democrats get their way, she speaks from first hand experience, not some theoretical mind exercise. She’s actually been there, done that, and got the t-shirt from it! 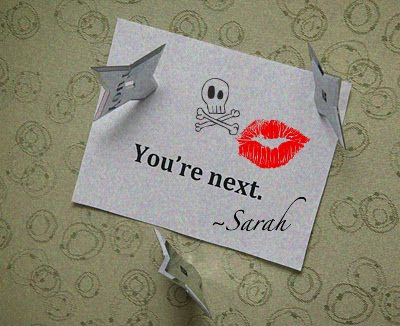 With that said, Sarah has released some more concerns. Some food for thought, as it were , about the continuing problems with the Obamacare nightmare. It’s time for us to defeat this mess, neuter Obama, and get ready to take back Congress in a big way. It’s time to run the democrats out of town for good, and get America back to what made it work, using strong conservative principles and ideas. Before you read Sarah’s statement, Ronald Reagan, way back in 1961, was part of the famous “Coffee Cup Campaign” to stop socialized medicine. It was a bad idea then, it’s a worse idea now! Please take time to listen to his short message here. 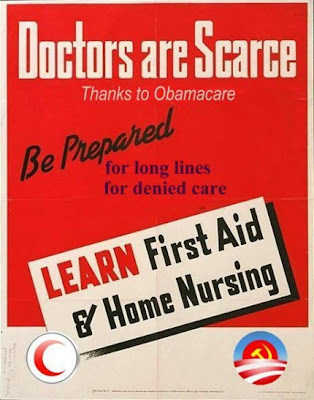 As I noted in my statement last week, nationalized health care inevitably leads to rationing. There is simply no way to cover everyone and hold down the costs at the same time. The rationing system proposed by one of President Obama’s key health care advisors is particularly disturbing. I’m speaking of the “Complete Lives System” advocated by Dr. Ezekiel Emanuel, the brother of the president’s chief of staff. President Obama has not yet stated any opposition to the “Complete Lives System,” a system which, if enacted, would refuse to allocate medical resources to the elderly, the infirm, and the disabled who have less economic potential. Why the silence from the president on this aspect of his nationalization of health care? Does he agree with the “Complete Lives System”? If not, then why is Dr. Emanuel his policy advisor? What is he advising the president on? I just learned that Dr. Emanuel is now distancing himself from his own work and claiming that his “thinking has evolved” on the question of rationing care to benefit the strong and deny the weak. How convenient that he disavowed his own work only after the nature of his scholarship was revealed to the public at large. A single-payer health care plan might be what Obama would like to see, but is it what the rest of us would like to see? What does a single payer health care plan look like? We need look no further than other countries who have adopted such a plan. The picture isn’t pretty. The only way they can control costs is to ration care. As I noted in my earlier statement quoting Thomas Sowell, government run health care won’t reduce the price of medical care; it will simply refuse to pay the price. The expensive innovative procedures that people from all over the world come to the United States for will not be available under a government plan that seeks to cover everyone by capping costs. I agree. Last year, I issued a proclamation for “Healthcare Decisions Day.”  The proclamation sought to increase the public’s knowledge about creating living wills and establishing powers of attorney. There was no incentive to choose one option over another. There was certainly no financial incentive for physicians to push anything. In fact, the proclamation explicitly called on medical professionals and lawyers “to volunteer their time and efforts” to provide information to the public. Comparing the “Healthcare Decisions Day” proclamation to Section 1233 of HR 3200 is ridiculous. The two are like apples and oranges. The attempt to link the two shows how desperate the proponents of nationalized health care are to shift the debate away from the disturbing details of their bill. Dr. Elmendorf went on to note that this health care legislation would increase spending at an unsustainable rate. Our nation is already $11.5 trillion in debt. Where will the money come from? Taxes, of course. And will a burdensome new tax help our economy recover? Of course not. The best way to encourage more health care coverage is to foster a strong economy where people can afford to purchase their own coverage if they choose to do so. The current administration’s economic policies have done nothing to help in this regard. Health care is without a doubt a complex and contentious issue, but health care reform should be a market oriented solution. There are many ways we can reform the system and lower costs without nationalizing it. Those are real reforms that we can live with and afford. Once again, I warn my fellow Americans that if we go down the path of nationalized health care, there will be no turning back. We must stop and think or we may find ourselves losing even more of our freedoms.